Last year, twins Yvette + Yvonne Rodriguez launched – Tres Lindas Cubanas – a cigar line that is defying the pre-existing mold within the business world of Cuban cigars. 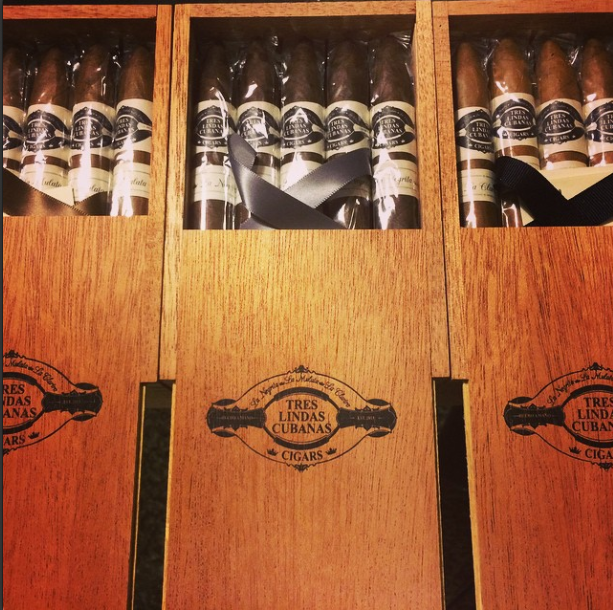 An arena commonly dominated by white, Cuban males, Tres Lindas Cubanas is the first female owned brand of cigars in the US and is named after the song of the same name by Orquesta Aragon. The line of cigars is also a representation of the diverse Cuban cultures and ethnicities, and the sisters’ way of paying homage to their maternal grandmother and Afro-Cuban experience. 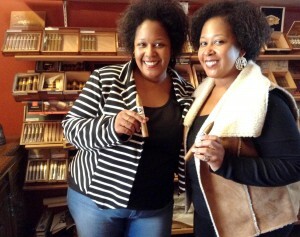 The sisters’ have a deep love and sense of pride in their Afro-Cuban roots because of the values and lessons instilled in them by their grandmother – a mulata, which translates to mixed (half black + half white) woman – who, along with the simple act of puffing cigars at family gatherings, was a huge inspiration for the line of cigars. Currently, Tres Lindas Cubanas boasts three signature cigars: a light-medium, medium-full, and full-bodied cigars – “la clarita,” “la mulata,” and “la negrita,” respectively. They can be purchased here or at select locations in Miami, FL.